Just a quick question. When does Australian winter end so this journal can start again because I'm really enjoying it? Oh wow, what a read from start to finish. I've had to sub. I just received a queen of this species and just trying to read and find out all I can. Look forward to the new updates post winter. Well, it’s been about a hundred million years since I last updated, so I may as well do one today. The colony has grown to 3 workers, 1 gigantic larva, two normal sized larvae, and six smaller larvae. At this point, brood development has stopped for me as Australia heads into winter, and will not likely grow for another three months. 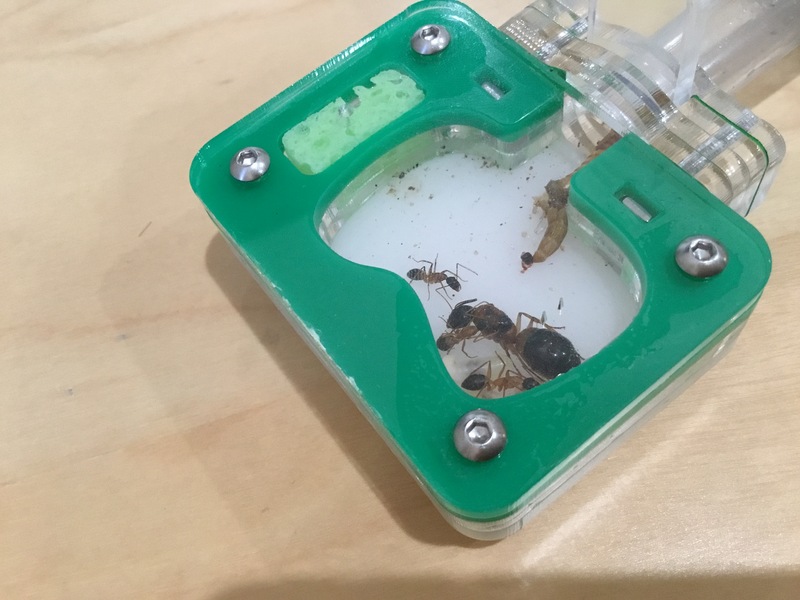 Unfortunately, hibernation in Australia still requires me to feed the ants regularly, as it does not get quite cold enough for me to just chuck them in the fridge. I can’t wait for roughly two months after the end of hibernation. We will have a small population explosion, with about 9 workers by then. Well, that’s about it for this update. I also won’t be posting as much as there will not be too much going on, with the halt of brood development and all. Maximum 1 a month to be honest.